On Thursday, Paul Pierce criticized Kevin Durant for leaving the Thunder to join the Warriors. He said current NBA stars lack hunger and competitiveness, and he can’t imagine doing what Kevin Durant did this summer. Later that day, Warriors forward Draymond Green went off on the subject. Draymond is not afraid to say exactly what he thinks and he was not happy about Pierce’s comments. 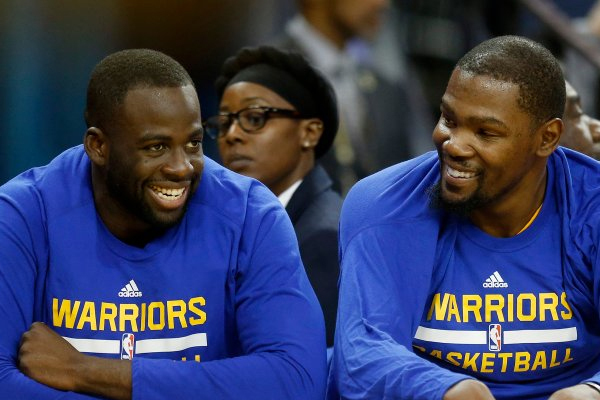 The Warriors insist that Kevin Durant and the rest of the team simply laugh at the furor his free agency decision created, which is a good attitude to have since comments like these will be flying at the Warriors all season long.